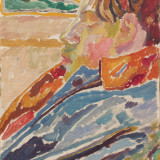 Another Magazine has featured the exhibition From Omega to Charleston: The Art of Vanessa Bell and Duncan Grant 1910 - 1934 in their online Art and Photography reviews. Focussing on The Famous Women Dinner Service, the article writes that the plates, painted by Bell and Grant 'reclaim stories of female success and notoriety'. 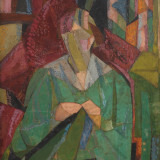 The article praises the artists 'radicalisation of the domestic' with a number of the plates illustrated individually. The Famous Women Dinner Service is on show alongside other major Bloomsbury works at Piano Nobile until 28 April, 2018.